More reviews available at Aniar Records under each CD title. 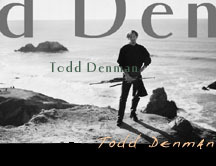 "Todd Denman... is now recognised everywhere as a master of the uilleann pipes and whistle. Todd's playing reflects the influences of various Irish pipers and shows in his tight articulation and ornamentation; he is a gifted musician ...fans and newcomers will find much pleasure and enjoyment." "a rich and creative fusion sound. Centered around Denman's vibrant piping and Tina Lech's nimble fiddle, this...also introduces the Hammond B3 organ to a role in traditional music at the hands of Dublin native Eamonn Flynn, adding clever touches of 1960s Motown soul sound. The material is... pulsating." If you enjoy the uilleann pipes and don't have this CD then BUY IT!!!! 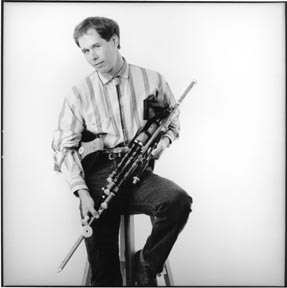 Todd Denman is a master uilleann piper who plays a flat set with a deep mellow sound. Todd's pipes make this CD [Celtic Peace] somewhat unique with the large number of pipers playing in concert pitch these days. All the tracks add to Todd's piping instead of drowning it out. This is a CD every uilleann pipe fan should have.